Congratulations to Matteo, the January 2019 Student of the Month from York Middle School. 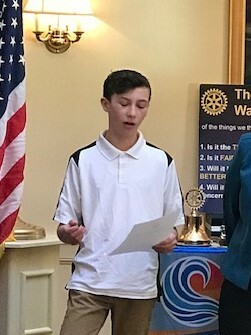 As the Student of the Month winner, Matteo explained to the club members why he chose the charity "American Diabetes Association". Great job Matteo!